If you've got a rooted Android device and you're a Pokémon master, chances are that you've heard that the 0.37 update to Pokémon GO completely disabled the game for devices with root access and/or custom software. 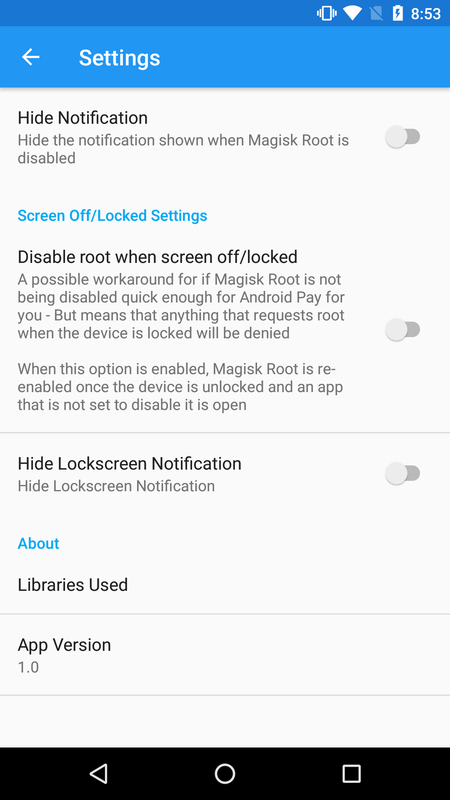 We made a guide on how to circumvent the SafetyNet check that Pokémon GO and Android Pay use with Magisk, but it might get bothersome to constantly toggle root on and off. Now, there's an app that lets you launch those apps without the slightly annoying root toggle. 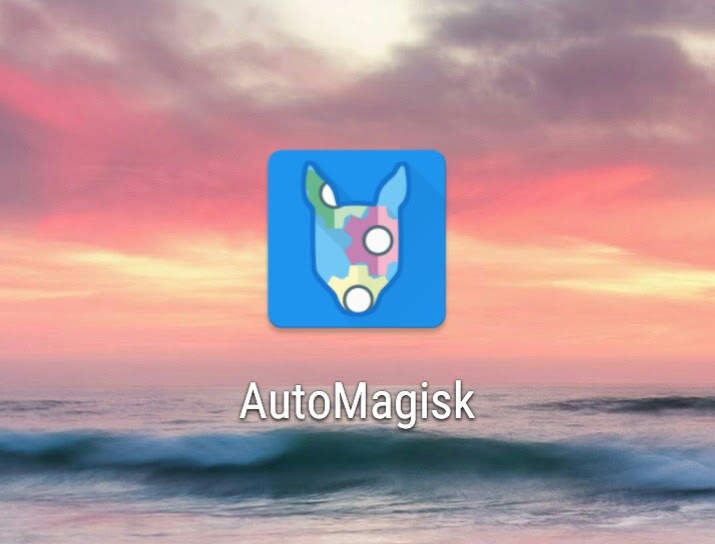 Developer Kieron Quinn (also known as Quinny898 and Mighty Quinn Apps) has created AutoMagisk, an application that disables Magisk Manager's root toggle when you open certain apps and re-enables root when you exit those apps. To use it, you will need to have phh's SuperUser and Magisk installed on an unmodified system (you can use our aforementioned guide to do so). AutoMagisk is pretty simple to use; after installing it, just enable the accessibility service for it and allow it to obtain root access through the prompts that pop up. From there, you can choose which apps you'd like to disable SafetyNet for. Pokémon GO and Android Pay are cleverly pre-checked if AutoMagisk detects that they're installed on your device, as are a number of banking apps that also utilize SafetyNet. Why won't my cats eat the chicken I put out for them? 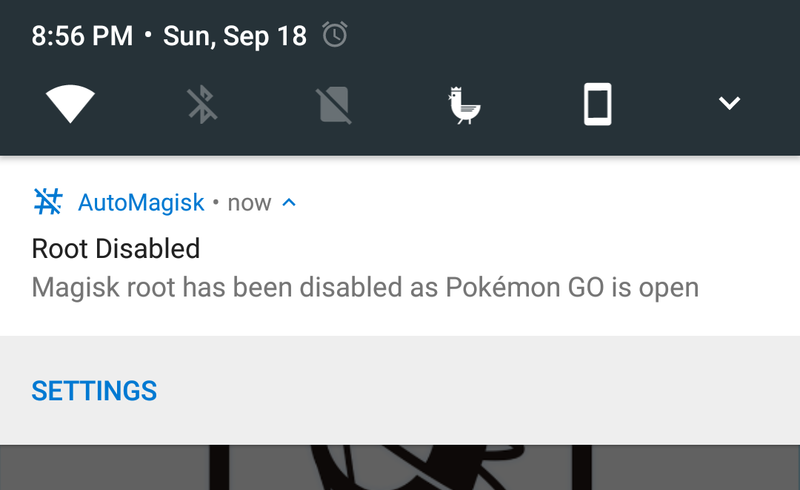 When Pokémon GO or Android Pay are launched, a notification pops up informing you that root has been disabled. 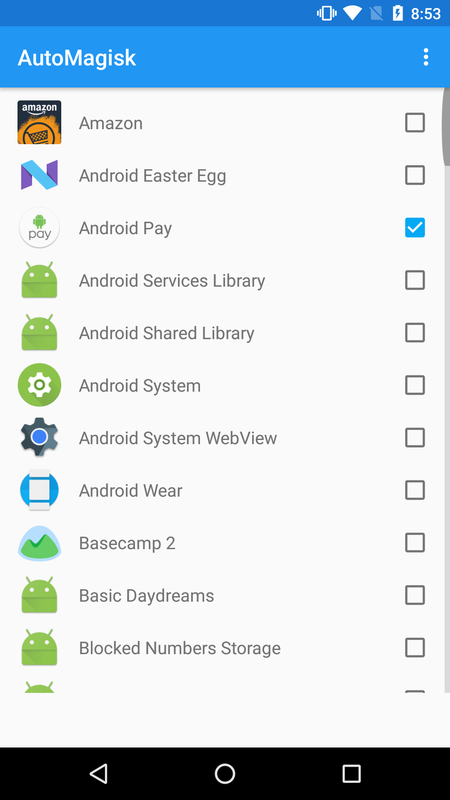 You can choose to disable this in the settings, where you can also disable lockscreen notifications and root when the screen is off (for Android Pay to be launched without turning the screen on). The app will work on any device compatible with Magisk (you'll need an unlocked bootloader, unmodified system, and Android 5.0+). Because AutoMagisk circumvents Google's SafetyNet, it hasn't been made available on the Play Store, but it is available on APKMirror and Google Drive. Users on the reddit thread are very satisfied with it. 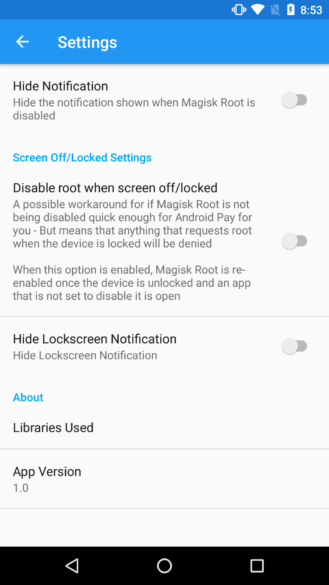 If you have Magisk installed on your device, there's no reason not to give this a shot.